Struan Grant Ralph is the newly appointed Global Brand Ambassador for Glenfiddich whisky. We talk to him about his career and the value of education for spirits professionals. How did you first get involved in spirits? I had a sip of a Single Malt as a young lad on top of a mountain during some winter mountain climbing in the highlands and I’d love to paint a romantic picture that from then on I thought whisky was incredible, but to be honest it tasted ghastly to my young palate and the whisky eureka moment came far later. I guess during my first degree in Chemistry and my early days bartending in Scotland I got a good sense that the world of spirits was incredibly fascinating and that within the industry were some talented and inspirational people that I wanted to emulate. I was also heavily influenced by the particular area of the world that I grew up in, Speyside, and so many family friends that were involved in this wonderful Whisky industry. Can you tell us a bit about your career and how you landed the job of Global Brand Ambassador for Glenfiddich? I started out bartending with no concept of how it could shape a career or that the modern day drinks industry would be as professional and have the opportunities that it now does. Bartending was just something fun and social to supplement a university education. It became clear the drinks world was something that really appealed to me and I got my first real taste of working in whisky as the UK Ambassador for anCnoc and Old Pulteney which back then involved doing trade shows and tastings across Britain. I loved it and still have a fondness for both those great distilleries. I then moved far afield to be a bartender in the great city of Melbourne which I did for two memorable years until the Glenfiddich Brand Ambassador job for Asia became available and I started that in 2011. I worked in the Asia Pacific market for two years and then the American market for a further three years which brings us up to the present day where just by chance I’m in China for the Glenfiddich Experience in my new role as the Global Ambassador. What does your role as a brand ambassador entail? To embody and bring to life the spirit and integrity of Glenfiddich and the William Grant family and to share the culture, history and stories of its production and its conception. You gained a distinction in the WSET Level 2 Award in Spirits. How important do you think brand agnostic qualifications and training are for spirits professionals today? I honestly think it was a huge break for me to realise that there was very professional side and educational benefit to working with spirits. You now see so many brands lining up to train and educate as part of their own advertising campaigns but only external bodies like WSET can be truly independent and paint a realistic picture of the each sprit category without brand prejudice. 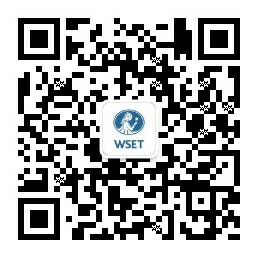 What was your personal experience of the WSET Level 2 Award in Spirits course? Really enjoyed it. I thought Dave Broom’s work on the written material was incredible; it gave me a lot of skills and understanding that I still use today. What advice would you give to aspiring brand ambassadors who want to follow your footsteps? I think if you have genuine passion and interest in this industry it will drive you to learn and professionalise whatever area that you’re in; then you can find amazing opportunities in the modern drinks industry. Also, if you gain a broad range of experiences across the hospitality trade you will then hopefully understand the single most important part of a Brand Ambassador job: customers. It’s also crucial to not only have a solid knowledge base but have interests and passions beyond the drinks industry which eventually might be what sets you apart or enables you to bring to life a great product in a new and innovative way. Also drink lots of water.